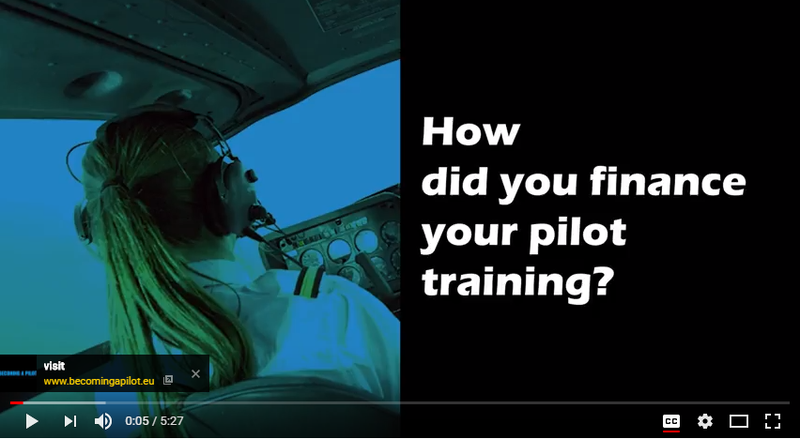 Becoming a Pilot | How to finance your airline training? In the past, several banks offered loans for professional development to young pilots. These were mostly aimed at students following the Integrated Route to ATPL. After the financial crisis of 2007, most banks stopped such loans. Today, in most European countries, such offers no longer exist. In some countries (e.g. Spain) the schools themselves offer sometimes forms of financing. In others (e.g. Norway) there are state financed flight schools, which are known to be extremely selective and enrol every year a limited number of pilots (e.g. Switzerland). The majority of the aspiring pilots have to finance their training privately as self-sponsored pilots. Partial exceptions can be found for a limited amount of MPL courses, for which airlines may offer loans to be repaid with deductions from the first salaries. Repaying pilot training loans means monthly payments ranging from several hundred up to €1200 depending on the amount and the credit profile. to be able to repay such high amount, newly licensed pilots need a fairly paid job soon. In worst case scenarios, the houses of unemployed young pilots were put at risk to repay their debts with the banks. Before enrolling to a flight school, make sure it provides good job opportunities in the end. It is always advisable to have an alternative plan like another Bachelor or Master degree before deciding on enrolling at a flight school. The job market for pilots is very volatile and having an alternative means of income is essential when you can’t find a job over a longer period of time with a significant debt. Flight schools and airlines can go bankrupt. It happened several times in Europe in the past years. Students, even if insured, have found themselves in a difficult situation. And for MPL – as it ties you to a particular airline – experts recommend. This is why aspiring pilots should make an effort to find the best, well-established school. And for MPL, experts recommend enrolling in an MPL training only if the scheme is promoted by a well-established airline. MPL ties you up to a particular airline.